Nestled in Sintra’s rolling hills just a short drive from buzzing Lisbon and the sparkling Estoril coast, Penha Longa Resort is a sanctuary of relaxation and, with eight restaurants to treat your taste buds, this is a dream destination for culinary treats too. We’ve summed up our clients’ favourite restaurants at this stunning resort. 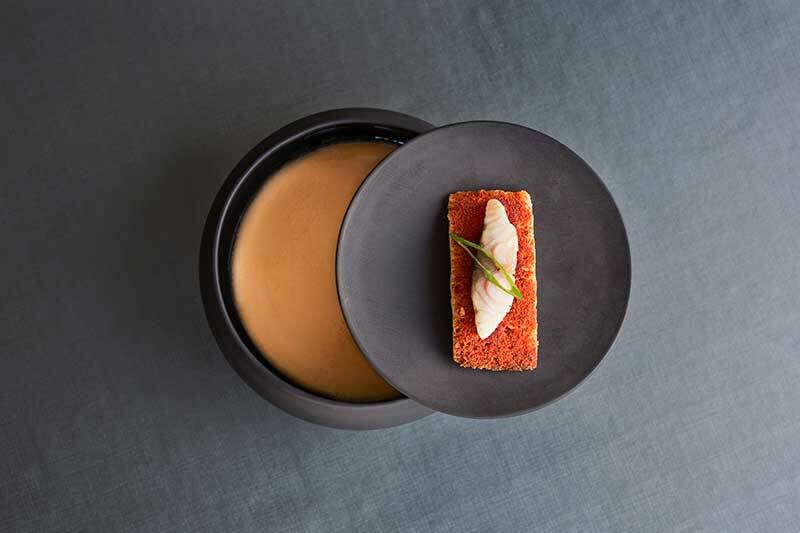 Awarded with its first Michelin star, LAB is Penha Longa’s flagship restaurant offering highly-innovative cuisine that delights all the senses. The menu is extensive with three different tasting menus, an à la carte offering and wine pairing options from an impressive wine selection with more than 550 references from around the world. The décor is chic and modern, creating an intimate and exclusive atmosphere. Styled in shades of blue and white, Arola’s décor is the epitome of Mediterranean chic and the terrace it the perfect place to relax and enjoy the sunshine. Arola’s menus offer a creative and contemporary twist to Portuguese cuisine, mixing tradition and heritage with a modern approach. Guests can view the kitchen from both the bar and the lounge to watch the masters in action, and for an even more involved experience, choose Arola’s Chef’s Table and they’ll spoil you by preparing a special menu, showcasing their skills, techniques and know-how. Arola also has a very impressive wine cellar and wine tasting here with the resident sommelier is a must to experience the best of Portuguese and international wines. At dinner, music is mixed by the resident DJ, creating the perfect atmosphere for a memorable dinner by combining funk, jazz and soul music, and occasional live entertainment. Midori, the oldest Japanese restaurant in the country, has been totally reinvented and redesigned. In the new Midori, the sophisticated light grey decor provides an understated aesthetic, allowing the magnificent views of the Sintra Mountains to take centre stage. Go for delicious and beautifully presented Japanese cuisine, including sublime sushi. Spices is a new restaurant at Penha Longa that captures the culinary diversity of Asia with delicacies from Thailand, Vietnam, China and Japan. In an elegant yet informal environment, get ready to savour delicious pan-Asian cuisine whilst enjoying the beautiful landscape. The décor reflects the various countries from which the menu takes inspiration, with very stylish results. The Japanese buffet every Saturday night is not to be missed. Enjoy the atmosphere of the resort and the beautiful views of the lush rolling Sintra hills at the lovely poolside restaurant, AQUA. The menu is full of refreshingly delicious meals, including traditional Portuguese dishes and inspiration from around the Mediterranean. Experience the open grill counter or try the freshly caught fish and seafood. Il Mercato is all about simplicity. The freshest and finest quality ingredients are used to create unique Italian dishes thanks to simple and flavourful combinations of flavours. Diners are spoilt with choice thanks to the variety of wine from across Italy’s 20 regions, and the food is equally varied. The décor is cosy yet elegant, and the glass doors to the terrace open up completely, giving the feeling of al fresco dining on a beautiful, balmy evening. B Lounge is a sophisticated bar and lounge area, perfect for an afternoon tea or delicious lunch. We recommend one of their gourmet burgers (there are 101 types to choose from!) or, if you’re in the mood for a healthier option, there’s also a wide selection of tasty salads, soups and platters. If you’re a gin fan, you’ll be spoilt for choice with their selection of 150 variations, or opt for a delicious, expertly-mixed cocktail. There’s also an impressive selection of fine Cuban cigars to enjoy. Villa Tamariz Utopia is the stunning beachfront oasis that forms part of the Penha Longa Resort and is located in the exquisite area of Estoril. It has breathtaking ocean views and is the perfect location from which to enjoy the beautiful coast, offering delicious light meals and drinks in the Lounge and Bar Terrace, or opt for a more intimate meal at the seafood-inspired restaurant. On Sunday, they offer a delicious brunch. Villa Tamariz Utopia is a short drive from the resort and our in-resort team is on hand to take you there via Powder Byrne shuttle. For more information on a holiday to this stunning resort, call 020 8246 5300 or click here.